Record, deconstruct, reassemble, and arpeggiate samples into newness. Recordings are sliced into 24 equal segments. 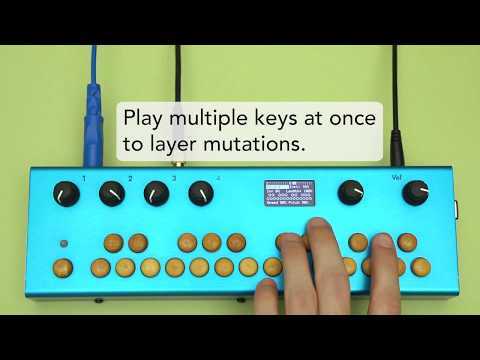 Each Organelle key plays a looping segment. Segment pitch arpeggiates as it loops. Segmenti Arp records a sample, slices it up into 24 segments of equal length, and assigns a segment to its respective Organelle key (1-24). Segments loop when you play their key. It arpeggiates the pitch of the segment as it loops. There are nine arpeggio patterns to select from. The segment playback speed is adjustable and independent of pitch. Latch multiple segments or recombobulate a recording with the sequencer. There are two page screens. The first screen, Sample View, is for recording and using the waveform to select which part of the sample you want to use. Knob1 sets global start point. Knob2 sets overall length. Knob3 controls envelope. Knob4 is segment playback speed and direction. Aux button enables/stops recording (24 seconds max record time (1 sec/key). Once enabled, recording starts automatically once audio level crosses threshold. Parameter Display is the second screen and is for playback control. Latch and sequence segments with Aux. On this screen, Knob1 sets tempo. 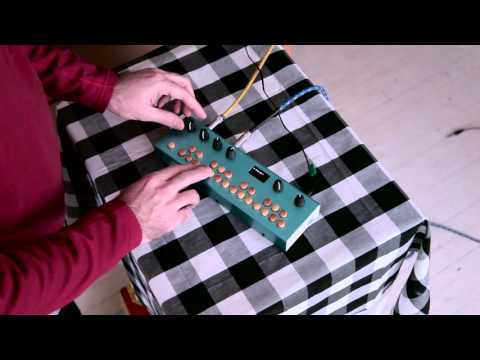 Knob2 selects arpeggio pattern. Knob3 controls envelope. Knob4 is segment playback speed and direction. Use 'Save' command in the OS menu to save a recording for future use. Deconstruct recordings and reassemble into new orders. Recordings get sliced up into 24 equal segments. 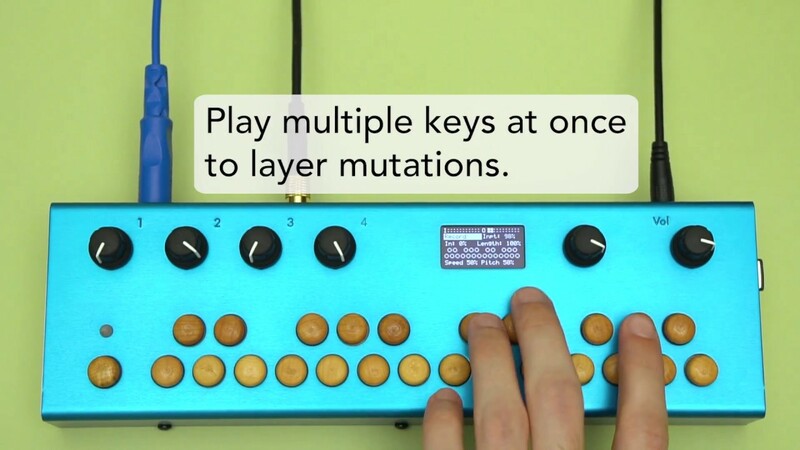 Each Organelle key plays a segment in a loop. Sequence and latch segments. Segmenti records a sample, slices it up into 24 segments of equal length, and assigns a segment to its respective Organelle key (1-24). Segments loop when you play their key. Latch multiple segments or recombobulate a recording with the sequencer. Parameter Display is the second screen and is for playback control. Latch and sequence segments with Aux. On this screen, Knob1 sets global start point and Knob2 sets overall length as well. Knob3 controls envelope. Knob4 is segment playback speed and direction. Record custom samples and create full compositions with them on the fly with this live-sampling and looping patch. There are three modes: Record, Jam, and Loop. In ‘Record’ mode, you can record a new sample to any key. Hold the ‘Aux’ button, select a key, and record. Recording starts when your sound begins. Press ‘Aux’ again to stop recording. Recording stops automatically after 2 seconds. 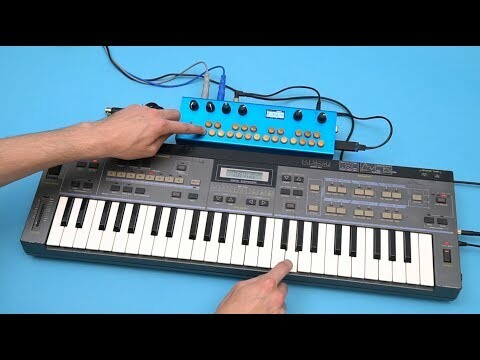 In ‘Jam’ mode, play a key to trigger a sample. Adjust global playback speed, global sample out point, and reverb with the knobs. Jam mode features a sequencer: Hold ‘Aux’ to record a sequence, punch it in, and hit ‘Aux’ again to stop recording. Tap ‘Aux’ to start or stop playback. In ‘Loop’ mode, each key toggles looping playback of your samples. 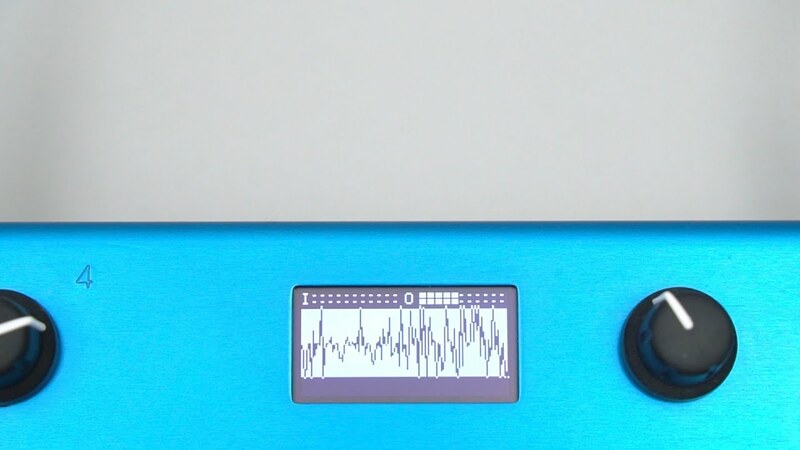 Adjust global playback speed, global sample out point and reverb with the knobs. 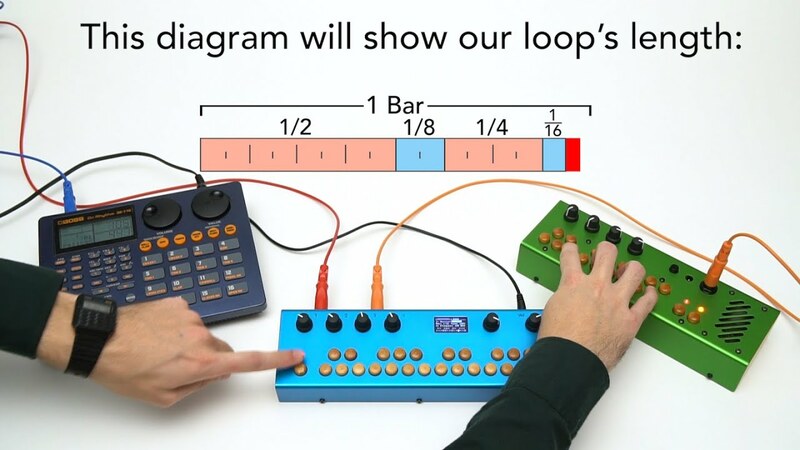 Use the ‘Aux’ button to write sequences in ‘Loop’ mode too! Access your sequence in either ‘Jam’ or ‘Loop’ mode. To save your samples, use the 'Save' or 'Save New' command in Storage menu. Records and places two independent playheads on samples for all kinds of sonic effects! DJ Patch Record is a 'beat-juggling' sample looper. It places two independent playheads on one sample. Change the relative position and playback speed of the second playhead to the master playhead for phasing, echo, simultaneous forward & backward playback, and detuned effects. Master playhead is the thick line. Second playhead is thin line. A quick press on the Aux/Footswitch starts and stops playback. A long press will record enable a new track. There is a ten track maximum! The keys set the position of the second playhead in relation to the master. Customize the sounds by dropping .wav or .aiff files into the ‘sounds' folder and the patch will load them alphabetically and print the name to the screen. To save newly recorded samples, use the 'Save' or 'Save New' command in Storage menu. You could almost call this one a randomizer's randomizer, but... Punch in a transposable sequence that controls a sampler that randomly picks one of four possible samples to play per key. Three-page patch combining the Punchy sequencer with randomizing sampler and effects. This is a multipage patch - each knob will have different roles depending on page. Link enabled for syncing with other devices on a shared wireless network. Load your own samples to customize the heck out of this one. Polyrhythmic sample player with sample randomization and thirteen built-in effects. If you listen really hard, your settings will loop, we swear. Three-page patch combining the Polybeats sequencer with the HRando sample player and feeding it into an FX. Since this is a multipage patch each knob will have different roles depending on page. The Polybeats page sets how often a trigger is set (a 'Division' of 4 will trigger every quarter note. A Division of 8 will trigger every half note, and so on) to play a sample. The HRando component of this patch is responsible for playing the samples. 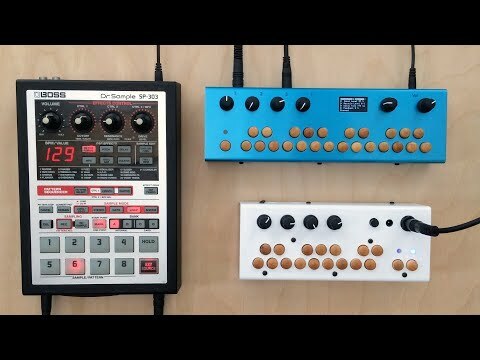 When HRando receives each Polybeat sequencer trigger, HRando randomly plays one of as many as four samples stored on that key. 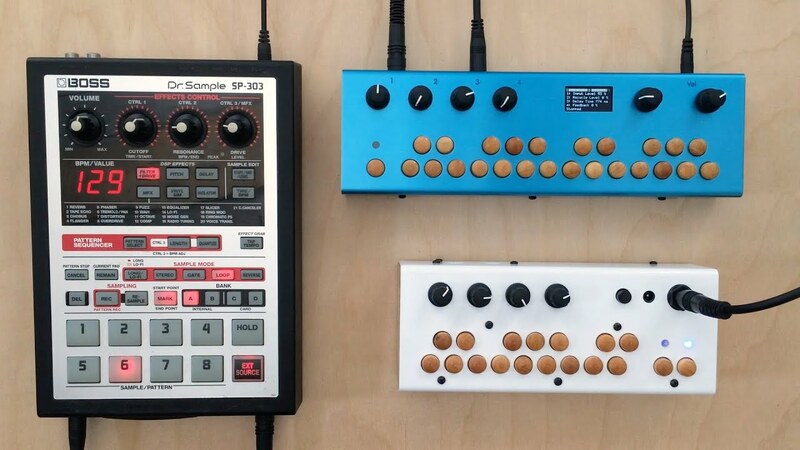 Load your own samples into this patch. In the patch folder, there are 24 folders in the HRando folder. The folder name numbers correspond to the Organelle key number. Place 1-4 of your samples in each folder! Press the Aux button to begin a new recording, and again to end the recording. The length and number of recordings are limited only by the size of the USB drive. The recordings are saved in the Sounds folder inside this patch. 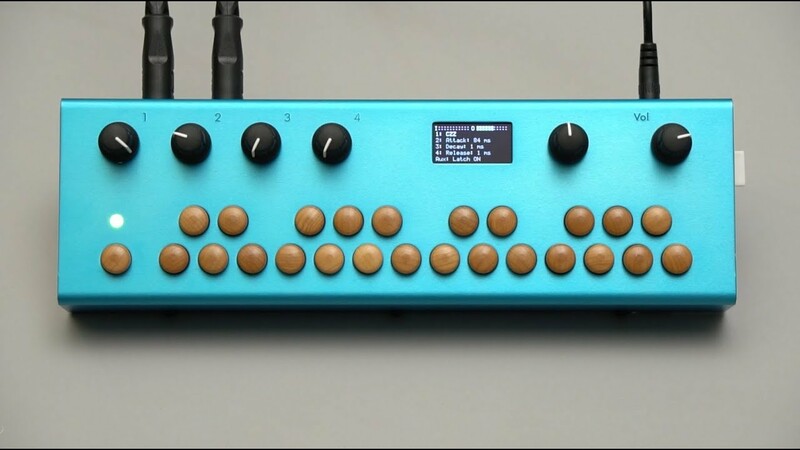 The Organelle keyboard plays back the 24 most recent recordings. Knob 1 controls input monitor level. Overdubbing sample recorder/looper. Have you seen that movie 'Interstellar'? 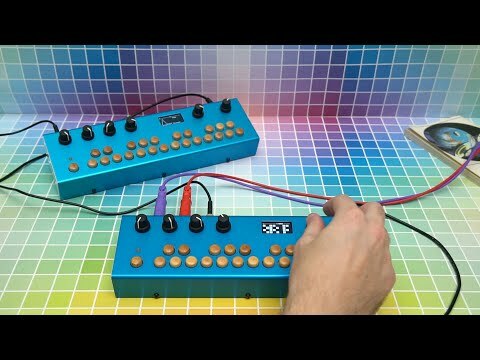 A very Organelle-esque version of a recorder/looper. 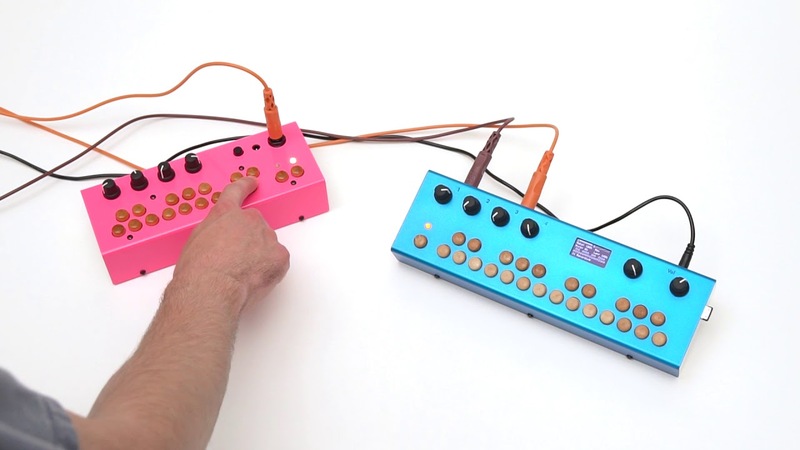 It has the ability to record new loops independently, or blend new sounds with one that is already looping. 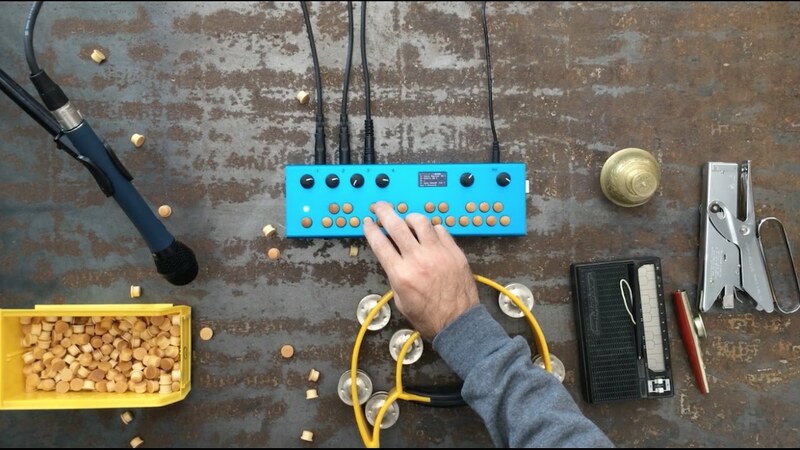 So: Record sounds, loop them, play new sounds into the Organelle while previous recordings are looping and record all of it. Add some delay. Re-sample some of it. 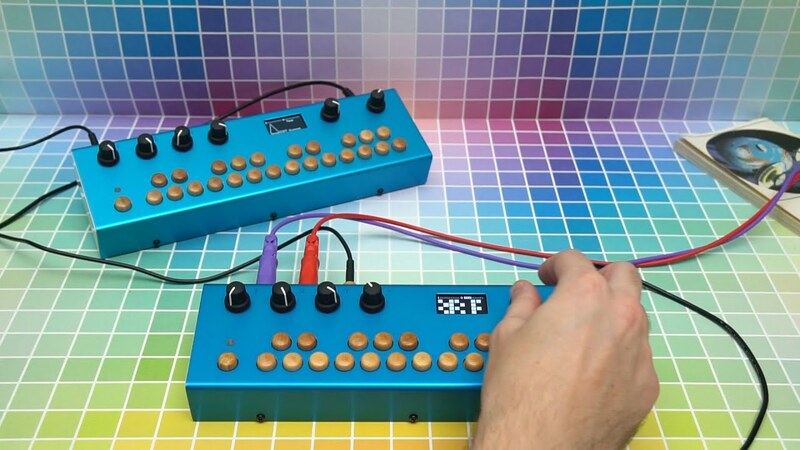 Use external MIDI devices to control what loops when and record that. At some point you will look up and it will be 4AM but you won't mind. 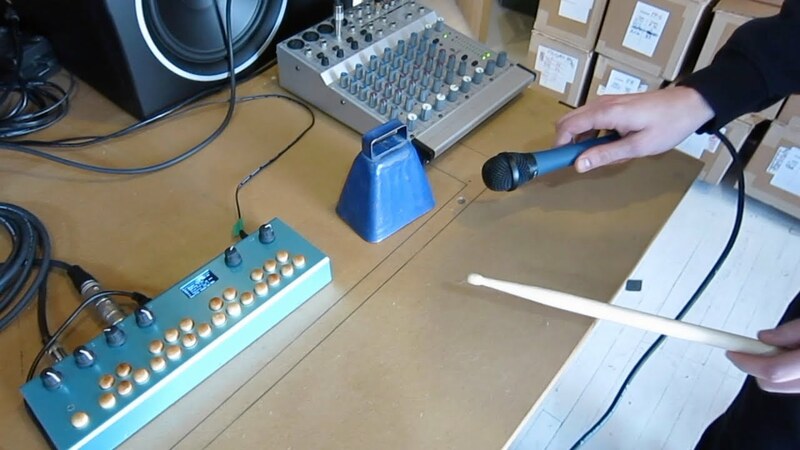 Use the Organelle’s audio input jack to send the Overloop all kinds of audio. Press the Aux button (or use a foot switch) to start a recording. Record for as long as you like, then hit the button again to stop. Your sound will begin to loop. 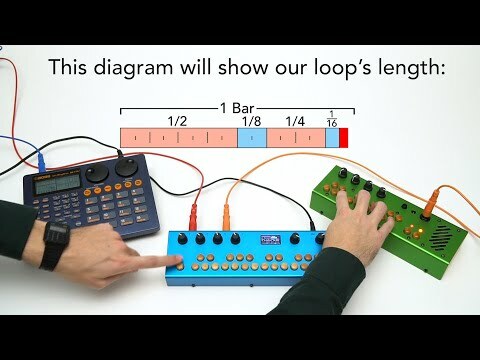 You can now record a new loop, and control how much of the current loop bleeds onto the new one. Feel free to play other loops while recording, they will fit right in. Additionally the playing loop feeds into a delay line for added manipulation. Every loop is saved in the 'Sounds' folder in the patch. 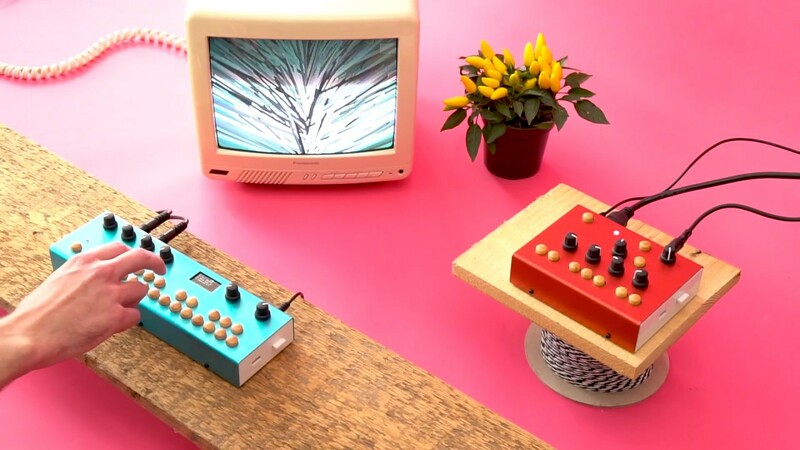 The keyboard selects the 24 most recent sounds.The most recent 24 recordings (loops) are stored on their respective Organelle key, allowing you to recall the last 24 loops you’ve made. The newest recording is played with the low 'C' key. The oldest playable recording is stored on the last (high 'B' key). Any loops older than those 24 are stored in the Overloop patch folder on the Organelle’s USB drive. You can access these files at any time in the future. They are saved as .WAV files. 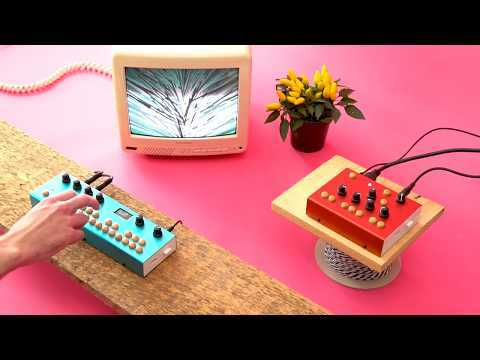 A sampler/looper where each key stores a loop. Loops consist of one or many recordings. New recordings get added to the end of the loop. Loops get strange and fun very fast! Add sound at the end of a loop with I Take Up. Use Case: Connect audio input. Use Knob1 to monitor input. Select a key to record to. Press and hold the Aux button (or foot switch) to record; releasing Aux/FS will stop recording. Repeat to add new recording to the end of the loop. Adjust the playback speed and direction with Knob4. Knob3 controls how much of the playing loop is mixed into the new recording - this is when it really gets fun. Press a currently looping key to stop it. A long press on a key will delete the loop. Plays MIDI files by transposing samples you record with the built-in sampler. This patch plays MIDI files. In the patch folder are 24 MIDI files, one for each Organelle key. Press a key to begin playback of that file, press again to stop. The MIDI notes are sent out for controlling other gear. The MIDI files also play a sample. Press the aux button to record a new sample, and it will be transposed by the MIDI file. Included are the 24 preludes and fugues of J.S. Bach's Well-Tempered Clavier. Replace the files with your own! A classic phase vocoding sampler. 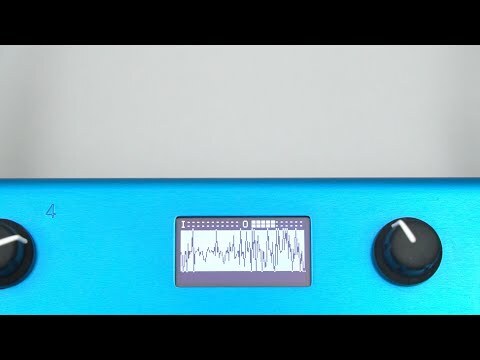 Recorded samples loop with independent playback speed and pitch! Stretch and trim a complicated sound into a rhythmic loop or compress it into a single note. Record a sound up to 30 seconds in length and then loop it. 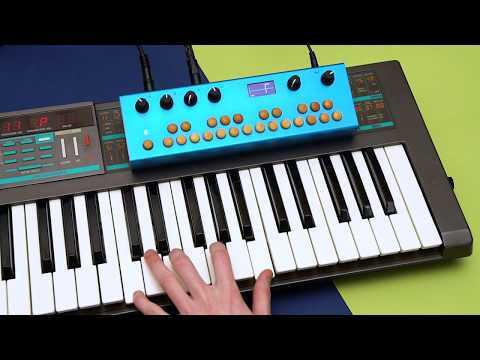 Set loop start point and loop length, control speed, direction, and pitch.The keys play the sample at different pitches. The phase vocoder allows you to change pitch and speed independently so a sound can be slowed down to zero while preserving the pitch. This leads to some very strange sounds. It is also useful as a practice tool for transcribing fast lines. 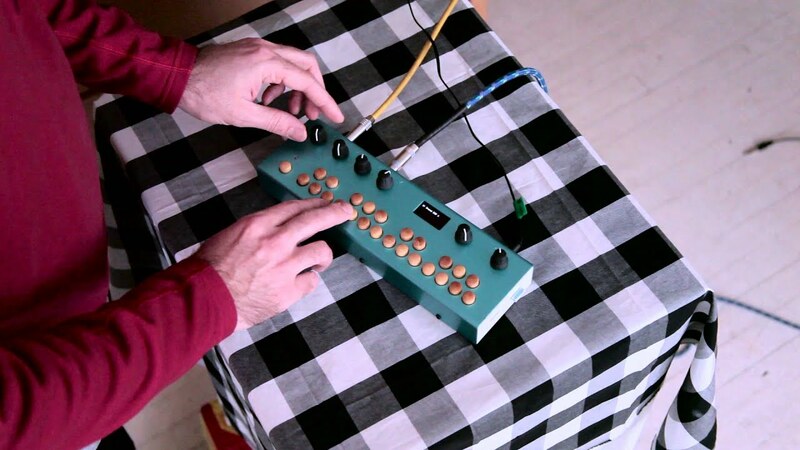 Record a sound and create a randomized granular synth cloud from it. Keys transpose the cloud. Set sample amplitude rise-fall times from 1-60 seconds. 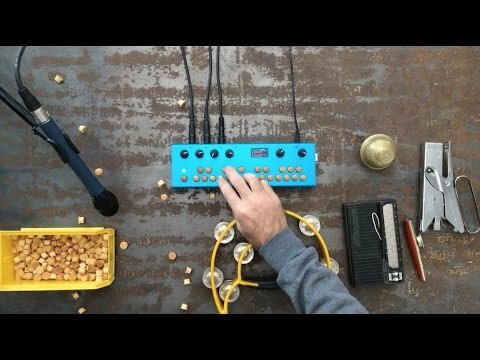 Great for creating drones and strange percussion. Record a sound. Transposed playback loops with the keys. Warp it with playback speed modulation. Straightforward but powerful. Record up to 60 seconds of sound. The sample is transposed by the Organelle keys. 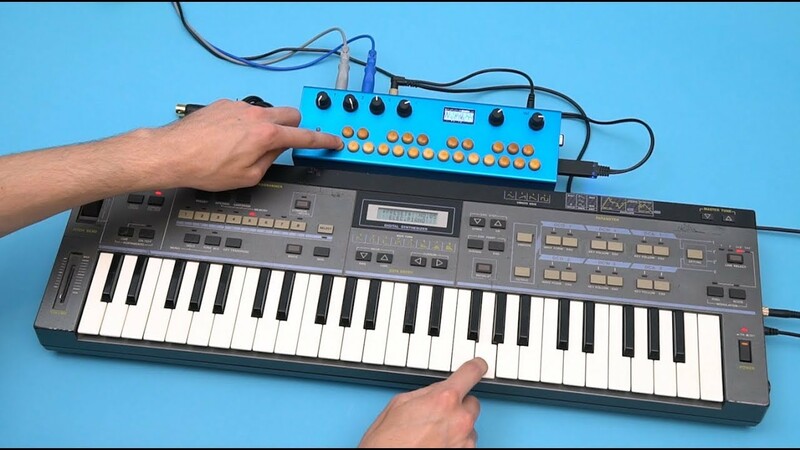 Holding keys will loop sample. Higher keys will play the sample faster than lower keys, so the loop rates will be out of sync (cool!). Record by pressing the Aux button or using foot switch. Adjust overall playback speed and direction with Knob1 and set start and end points within the sample with Knob3 and Knob4 respectively. 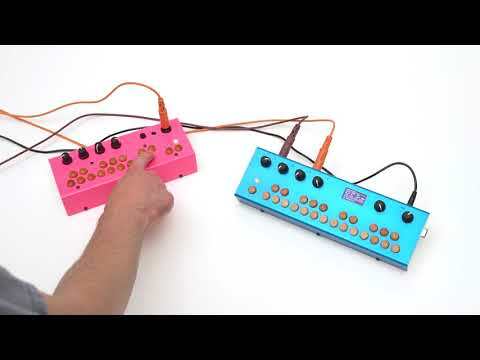 Knob2 sets sample speed modulation for adding variability. Monophonic version of Nori Sampler for a more percussive feel overall. Record a sound. Transposed playback loops with the keys. Warp it with playback speed modulation. Straightforward but powerful. This is almost the same patch as Nori Sampler, but this time with only one sampler voice playing at a time. This gives the patch a more percussive feel overall. Build up a bank of recorded samples (one for each key) and play them. 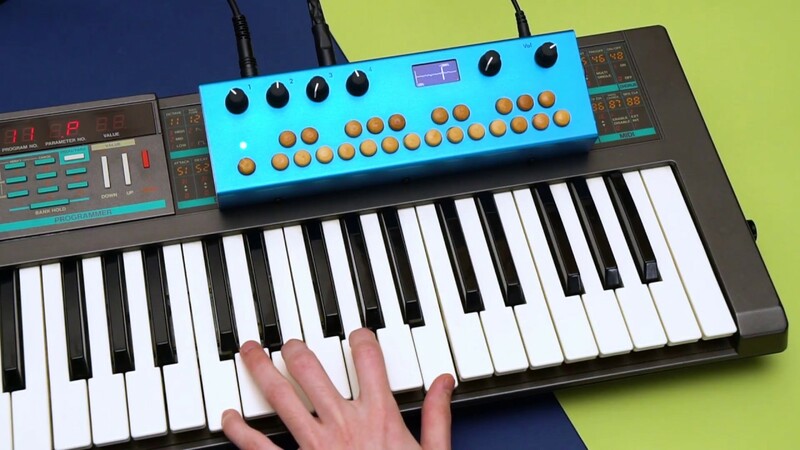 This sampling keyboard allows you to record a sound into each key. The recordings are one second long, so it is really geared for percussion/drum machine feel. A cool feature is the triggered recording function. 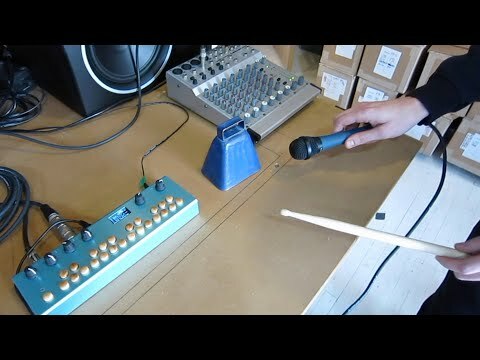 This makes it really easy to capture percussive sounds quickly and easily. Press the Aux button to start process and then select a key to record to. 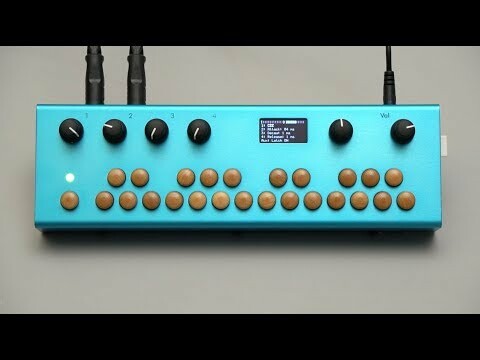 The Organelle waits to record until the sound exceeds a small threshold (trigger) at which point it starts recording for 1 second. Record a sample then arpeggiate sample playback pitch. Record a sample by pressing the Aux button. The knobs control tempo, envelop on the sample, and select 8 different arpeggio patterns. A foot switch can be used to turn on latch mode for hands free operation. Knob3: Duration of Sample Playback. Aux: Record control. Press to record. Two seconds maximum record time. 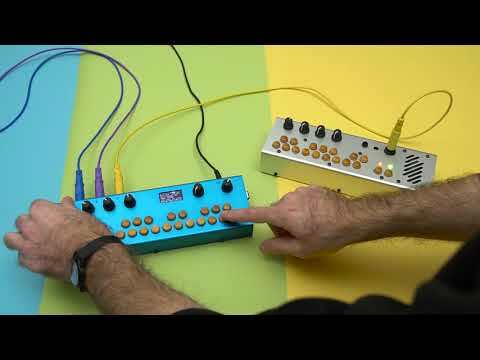 Sampler with chromatic pitch playback. Record a sound (up to 2 seconds). Use keys play recording at different pitches. 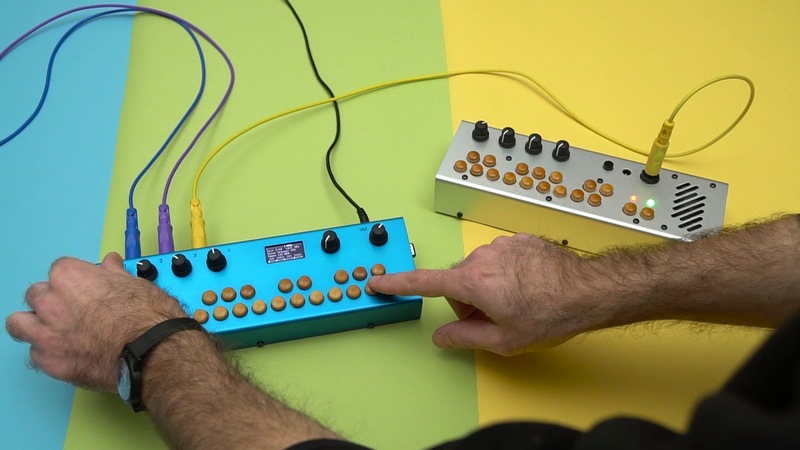 Shape the sound in interesting ways with Knob3 & Knob4. Knob1: Sample Speed control. Speed shown on screen corresponds to Low 'C' key. Aux and Foot Switch: Hold to Record Sample.